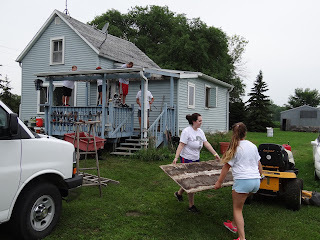 1013 3rd Ave S., Moorhead, MN. 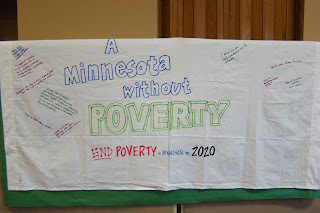 Engage and discuss how the MN Legislative Commission to End Poverty (LCEP) recommendations can be moved forward during the 2013 legislative session. 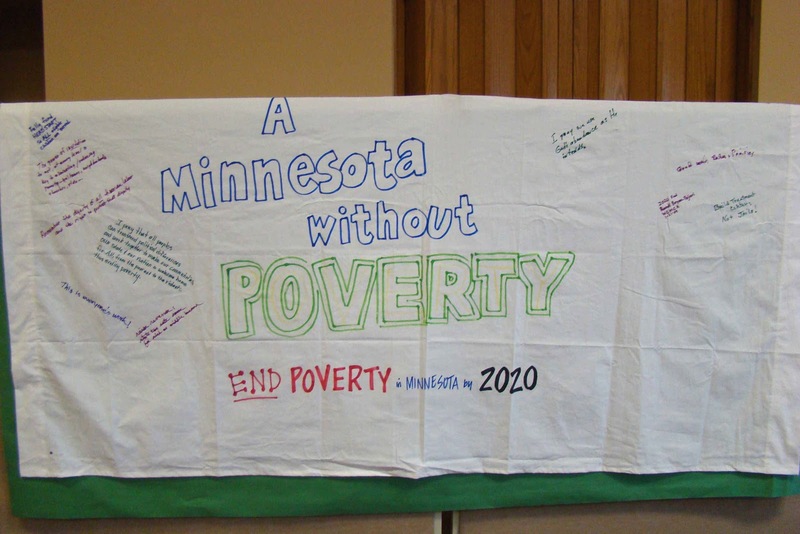 Gatherings have taken place across the State of MN with the goal of making sure the LCEP and, its current efforts as being explored by the MN legislature's "Ladders Out of Poverty" commission continue to press forward to strengthen our State. Every day at Lakes & Prairies Head Start we learn lessons that are important in life. In a classroom full of four year olds each of us face daily challenges that provide many opportunities to learn and solve problems. Head Start is happy to share with you some ideas that are very effective in solving problems. Head Start teaches us to; use our words and work together, remember to take turns (you may not always get to be first), biting, name calling and tantrums are never good. Head Start reminds us that even as a four year old, fair isn’t everybody getting the same thing, fair is everybody getting what they need to be successful. Thank you for reading our letter. We hope it helps you and your friends remember that we are counting on you to help us get what we need to be successful…..a Head Start. As part of National Voter Registration Day activities, Lakes &Prairies Community Action Partnership will participate in Voter Registration activites and help voters find their polling locations. Registering now allows time to submit the form to the County and send you a postcard notifying you that you are registed and where to vote. The last day to register to vote is October 15 unless you register at your polling location on the day of the election. Registering now could save you much time as polling locations are especially busy when there is a Presidential election. 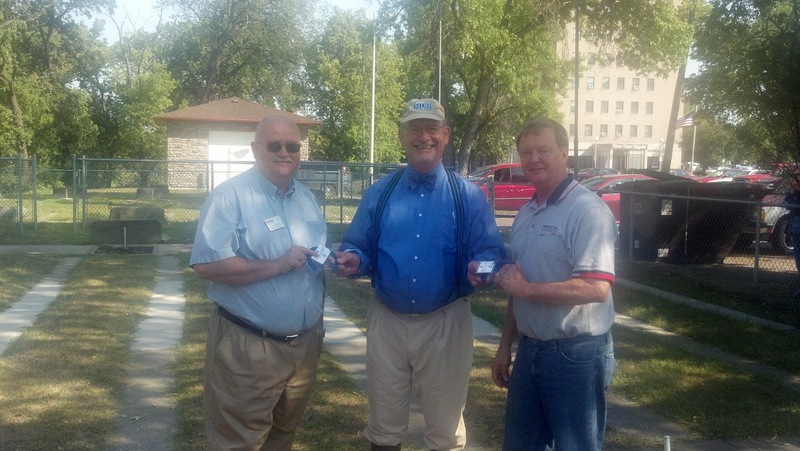 Dr. Ed Ehlinger MN Commissioner of Health, stopped in Moorhead on Tuesday morning, August 28th as part of his "Pitch the Commissioner" trip around Minnesota. In his visits Dr Erlinger has learned that there are acute needs in most communities and that the public health infrastructure is weakening. 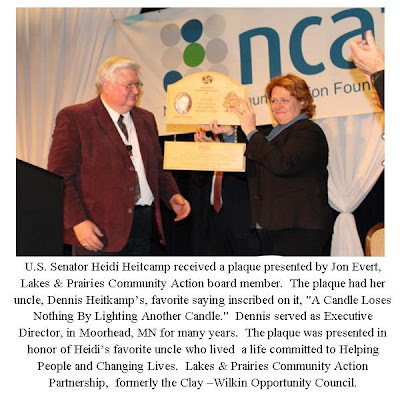 Lakes & Prairies Executive Director Joe Pederson who is also chair of the Minnesota Community Action Partnership board of directors "pitched Community Action" as a key partner with MDH and county Public Health in keeping our communities healthy. He discussed with Dr. Ehlinger how Community Action Agencies play a key role in engaging low income and disadvantaged Minnesotans. 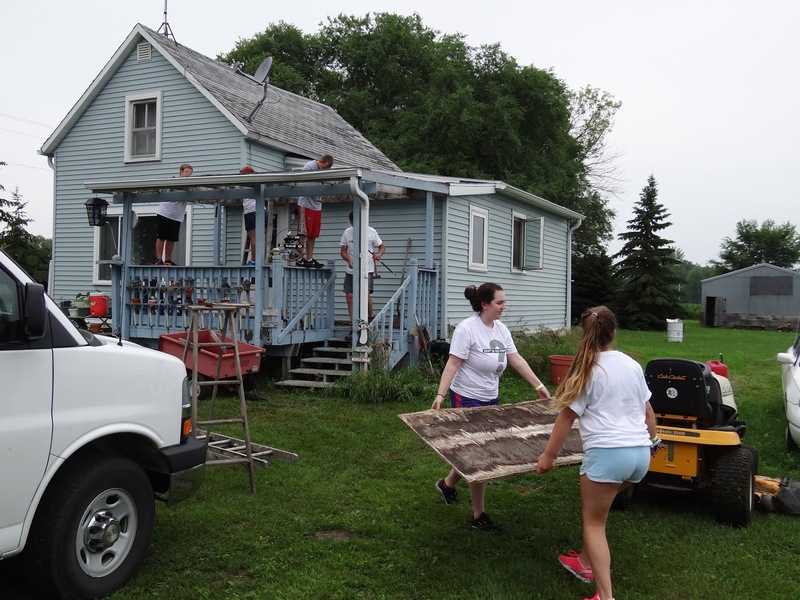 What does your community need to be healthy? Lakes & Prairies Board members and staff emphasized the need for safe affordable child care, early childhood education, Head Start and Early Head Start and the importance of dental access for low income families. In the pictures below, Lakes & Prairies board members Lyle Hovland, and Stephanie Miranowski and Joe continue to "pitch Community Action" with Dr. Ehlinger at Davies Park in Moorhead.